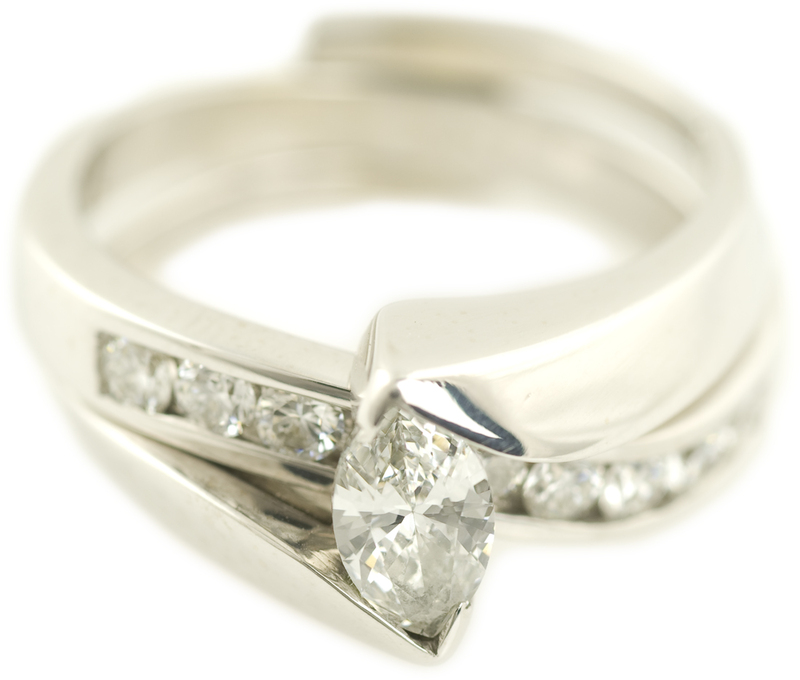 Stand out of the crowd with this one of a kind wedding set. 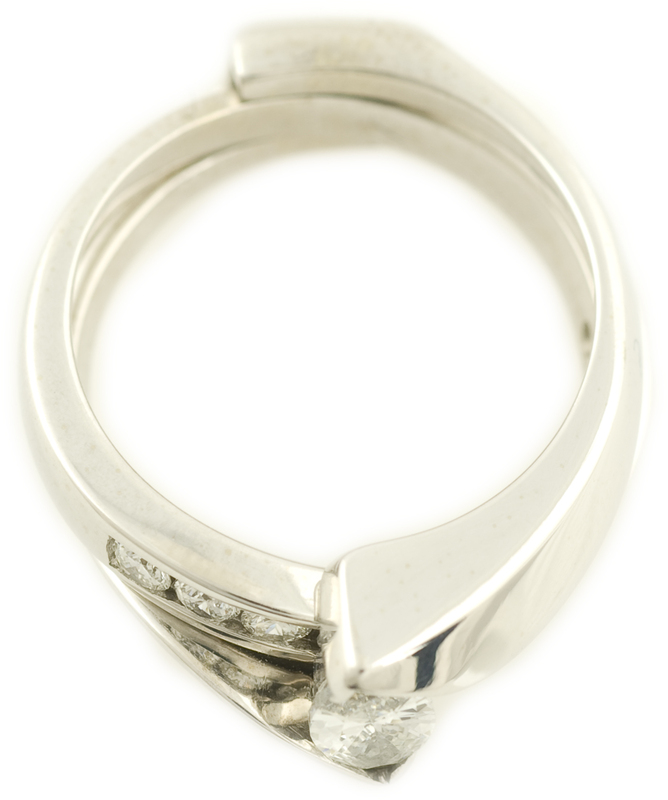 The center diamond is a marquise cut diamond set in an offset swirl design. 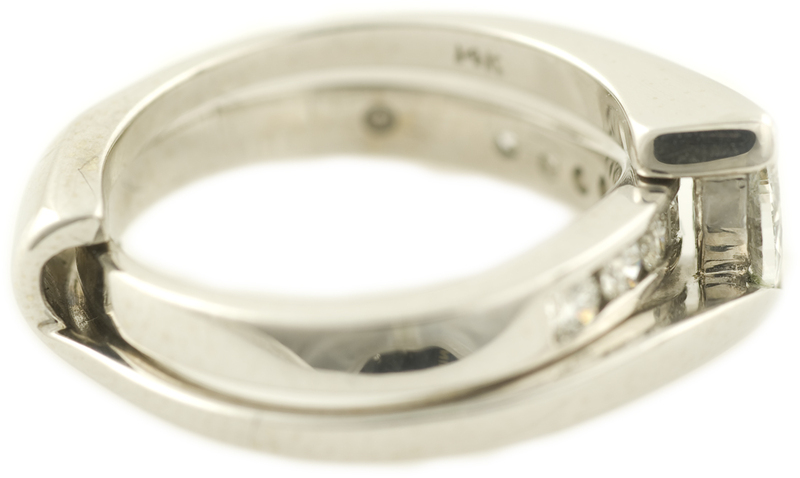 The wedding band has a soft curve of channel set round brilliant diamonds and is made to slide through and lock inside of the engagement ring. The sleekness of this type of setting is perfect for active lifestyles and also great for those who work in the medical field (nurses, doctors, dental hygienists, etc.) due to the fact that it wears well and does not snag when taking on and off medical exam gloves. You no longer have to sacrifice beauty for practicality.